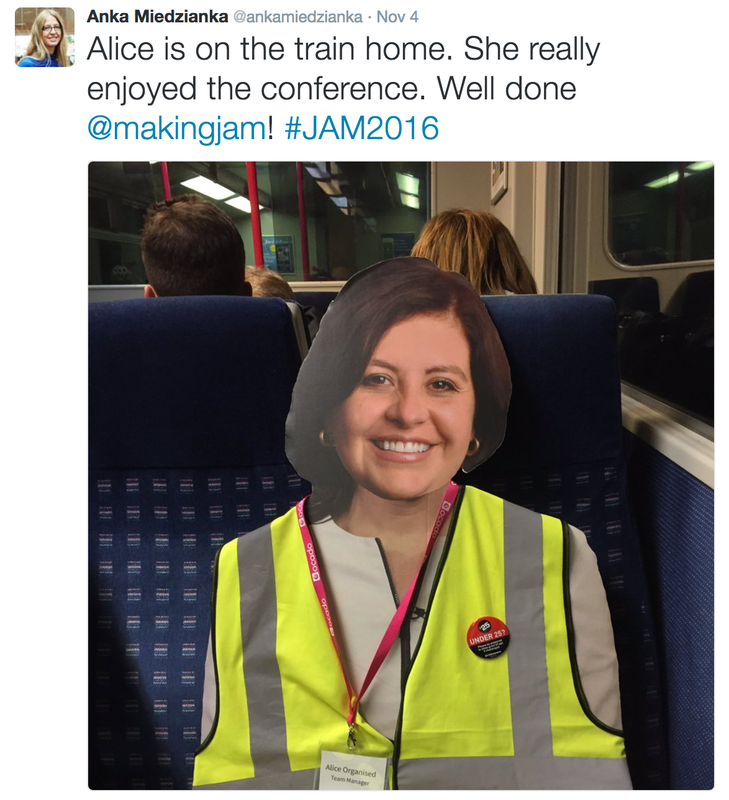 On the 4th November the Product Manager Club attended JAM 2016 in London. It was pretty awesome! We met a lot of great people and we learned a lot of interesting things and we thought it was only right to share our experience! We often asked ourselves how other companies go about designing and building great products. What goes on behind the scenes? How do product managers, designers and engineers make it all happen? We realised we really wanted to catch a glimpse of what went on behind the scenes of the companies we looked up to. And we thought other people would want to know too. So we decided to organise an event to share these stories. Today, we run monthly show & tell events and an annual conference to learn from the people behind the products we all know and love. It really was a simple as that! A bunch of product people in a room sharing stories, experiences and a glimpse into their own world of ‘product’. As we all know, product is a newly and diverse discipline but sometimes what we don’t know is how it’s defined, works and plays out in different contexts other than our own. 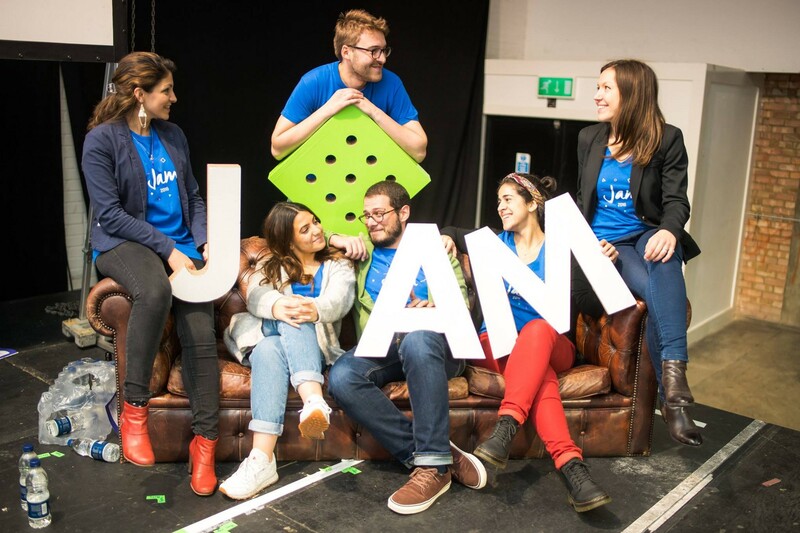 The thing that we valued above all about JAM is that that the focus is on getting people passionate about product to interact with one another…converse, chat and engage with the fellow product people. We also loved the ‘grass roots’ feel of JAM…it wasn’t just some senior executive detached from the product/discipline talking about product in an abstract way but it was people like you and I…people in the trenches, hustlers. It wasn’t all just success stories, there were lot’s of candid failures shared. It wasn’t lot’s of glitz and glam, it was raw and true to its purpose of bringing product people together to share, learn and laugh in an accessible way. The first presentation was an overview what goes on ‘behind the roadmap at Busuu’ and how the team create a well informed product roadmap. The first slide got me excited…the periodic table of prioritisation techniques by Folding Burrito. This product manager is well read! Antoine talked about how Busuu identify problems, understand why those problems exist and how they go above determining solutions to those problems. The practices and processes were all pretty conventional. We learned about the RICE prioritisation technique, which was new to us and it’s a pretty interesting method of prioritising — albeit not one in the Folding Buritto periodic table! We’re not going to lie, when we saw the name of the presentation we kind of thought, “oh, not another talk about why persona’s are awesome”. I’m not saying that they’re not valuable but over they years the creation and then subsequent death (putting in storage) of a number of persona’s has made us a little sceptical. Anna did something awesome and that was to employ simple techniques to ensure her team understood that their environment and perspectives were different than those of their products users and Anna helped them to build empathy with those they served. When I say Anna did simple things that had a big impact…I mean it. Instead of writing a persona board with a list of attributes about her persona in order to introduce them to the product team, Anna decided to take her team out of the office and actually interact with those that they build software for. To prevent the persona’s dying a death after a short life Anna printed out life-size persona’s one corrugated plastic which she took to product meetings (and even to her presentation). To ensure persona’s were part of the teams day to day thinking Anna added print outs of their faces to the user stories on their Kanban boards…so instead of, “as a user” it was now, “as Luke Fast…”. Oh yeah, then they killed the whole, “as a user” kind of user story writing and wrote user stories as if the user was actually speaking them directly to the developer…no filter, no business or tech jargon. Anna’s anecdotes inspired us. She showed us that sometimes, doing simple things well can have a big impact and make a real difference. We were wary of Anna’s presentation because we’d never seen or done persona’s well until we saw how awesome they can be. Thanks Anna! Hugo from Monzo gave a presentation that we’ve heard before. 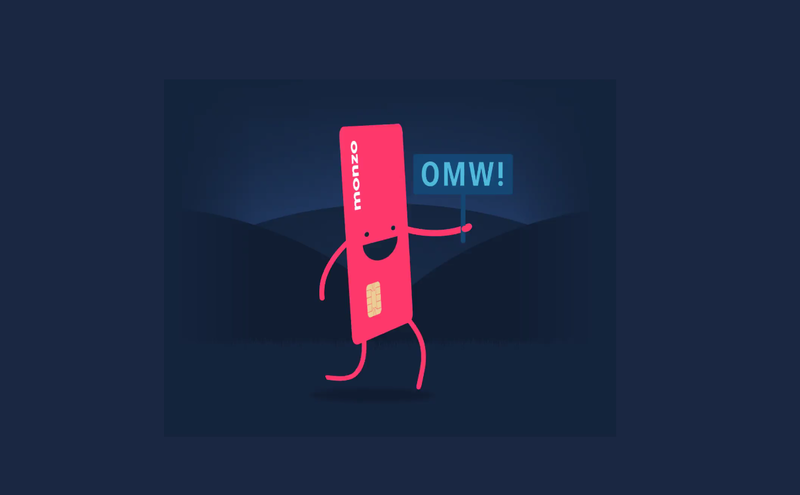 I personally work in Financial Services and I’m always all over the latest apps and finance products so Monzo has a special place in my heart! Hugo was awesome, he has the kind of energy that I admire and people like Hugo are always best raw and unshackled, which he was. Hugo answered the question we’ve all been wondering, how daqfuq do you start a bank from scratch and not just any bank but one that people love? What I liked most about Hugo’s presentation was that even thought we all admire Monzo and hold the bank in high-esteem, we sometimes forgot that even Monzo makes mistakes. Hugo gave us a whistle stop tour of the good, the bad and the lucky. It was honest, humble and high energy. The most interesting element for me is how design and brands is truly at the heart of everything Monzo does. The second thing that stood out for me is that although the financial services industry is rigid and heavily regulated, Monzo doesn’t treat these constraints as constant or inflexible. Monzo challenges the status quo in an industry ripe for change…even more contentiously, they do so by simply giving users what they want and expect of a financial services organisation. Nilan is the VP of growth at Transfer Wise. Interestingly (and refreshingly) Nilan believes (and practices) that, “building culture around your cause, builds a product that grows itself”. This struck me because you’d assume that someone responsible for growth would be raving about SEO, viral marketing and all the other buzz stuff in the marketing sphere but not Nilan. I guess that’s a by product of working for a ‘mission driven startup’, Nilan and Transfer Wise seemed like a great fit. Nilan took us on a big tour about Transfer Wises mission and it became quite clear that everyone at the company lived and breathed it. It wasn’t plucked out of thin air and forced up on employees. It was adopted by people passionate about the way they were improving the lives of those they served and driven on by the follow-ship they were building as a result. Foster a culture whereby autonomous, independent teams focus on KPI’s that make a difference to customers and drive company growth. So first step…culture. Product is an outcome of the people you hire and the decisions they make. Once onboard the biggest influence is culture, the basis for their decision making and their shared values. In other words, the structure of a program or system is likely to evolve to mirror the management structure of the organisation. Even with a couple of teams working on a small project you may end up with various layers of shims and wrappers to make code written by team A interface with team B’s preferred way of doing things. The schism between Dev and Ops teams that is regularly cited in the DevOps movement is another example of Conway’s Law in action. The message there is simple: get developers and operations to collaborate on common business goals (eg. frequent, reliable deployments) or else their competing priorities, poorly communicated, will cause friction that risks the business’ ability to deliver on any goals. Define clear values (or ideally have your teams define them). After all, effective teams need to have shared values. All parts of the product are owned, all are owned weakly. Basically, a team is accountable for the success of every part of the product. However, any team can change any part of the product. There is no ‘marketing’ vs. ‘product’, ideally both functions are part of the same team. Product managers don’t have authority over who does what and when. If you can’t inspire an engineer to build something then you that thing won’t inspire your end user. Define targets (I like the OKR model). If we’re a team who is responsible for thing A, what KPI’s will be used to measure our success? When you have your KPI’s by what measure/degree do you want to move them? Heather talked to the JAM’ers about building a continuous improvement culture. There were a number of common sense points that resonated with the audience, perhaps the most refreshing one was to ‘just f***ing do it’. We’ve all heard of that age old adage that it’s better to beg for forgiveness rather than ask for permission. However, there’s always that nagging feeling in the back of your mind that if you did do something without asking for permission, how much trouble would you get in? At UsTwo they really do reward failure and people just f***ing doing it. Why? Well when you hire smart people and empower them with your trust, 9 times out of 10 they usually do wonderful things. In the instance where they screw up, they often learn something valuable and apply those learnings to ensure that they don’t screw up again! Simples. Another high energy presentation from Phillip. We appreciated the pick me up after lunch (and the star jumps). Phillip kicked of by educating us on the difference betweens incubators and accelerators…Founders Factory is a self proclaimed ‘startup factory’, they do both the incubating and the accelerating. 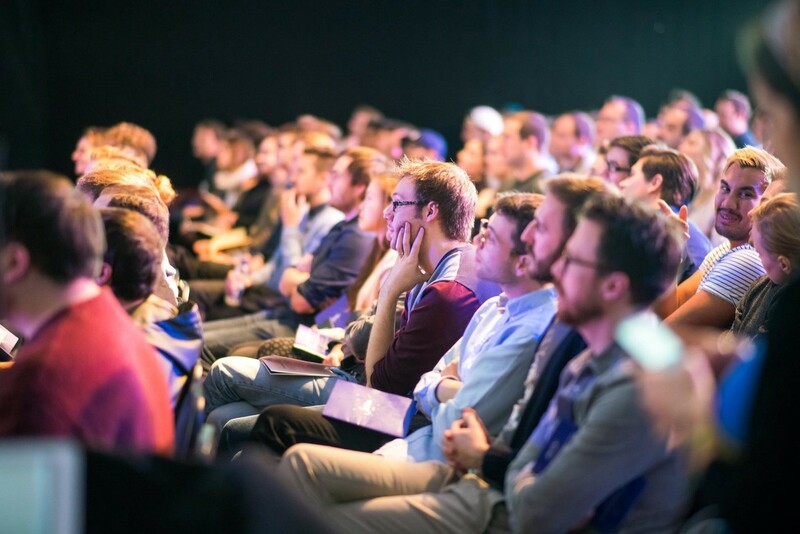 Perhaps the most contentious element of the presentation for product managers in the room was the notion of exploring opportunities where there’s no clear problem defined to see if an interesting opportunity presents itself. I like what founders factory are doing….taking motivated, cross functional and intelligent product hackers and taking the shackles off. They’re affording themselves the time to explore, play, learn and create. Sometimes you need to create the affordance for awesome things to happen in order for awesome things to happen. Simple. No one comes up with it. You’re unable to demonstrate the value of the idea. So how do you make sure the best idea wins? Well there’s a lot of ways that we’ve heard of before…you can employ techniques to avoid group think, you can use testing/experimentation to create variates and light, throwaway tests to ensure you launch the optimal incarnation of the idea etc. The latter is referred to by Shaun as a product pivot…it’s not always as simple as changing the name of a button, sometimes you need to build new capabilities for the change of a button to be a feasible pivot but by building something (even the lesser but more feasible thing in the first instance) allows you to get a read on the success of that utility. Shaun then talked about CAT’s (Content and Targeting Service). It’s essentially Lyst’s smart way of ensuring that content for a product is created once and the right content for that product can be published everywhere i.e. the right content can be served specific to the context. So for instance, instead of just writing a title for a product, they will also write a mobile app title, which may have a shorter length or contain an icon to depict that it’s a clothing garment for instance. It’s smart stuff. Finally, Shaun talked about creating a culture of creativity to ensure that good ideas make their way to the surface. To ensure the longevity of these ideas and to ensure that they make their way into the hands of the user. His solution — create environments where feedback is an inevitability, nobody likes to fail so how do you make sure you have an organisation whereby people help each other not to fail. Where people help others to tell their story. Big likes. 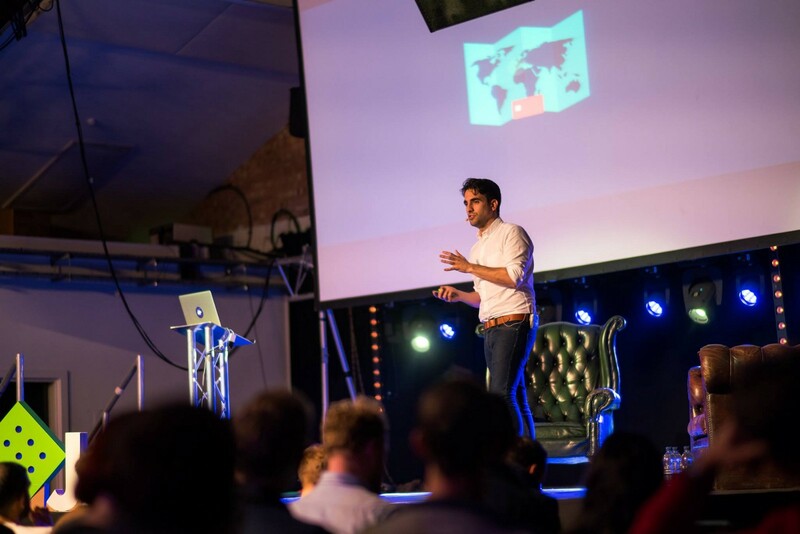 Simon gave us a f***ing awesome and raw insight into the launch of the redesigned Deliveroo and the real life struggle behind the glitzy public veneer of a company we all know and love. 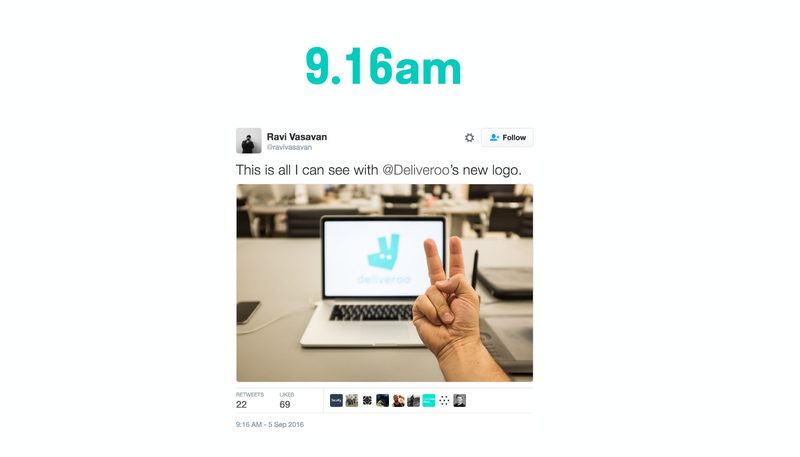 Why the redesign, well…I’m not going to do this justice but Deliveroo has boomed from a small scale operation with people crammed around a desk to a multi national, multi million user phenomenon. With high growth there’s also compromise, a need to make decisions quickly and put things on the back burner, this was Deliveroo’s moment to refine some of their creative strategy post boom. The results were epic (see the presentation)…the lifestyle imagery, the riders costumes etc. The amount of attention to detail that went into things, the obsessive focus on their different users, the detail that went into making the correct decision time and time over. It was impressive. Simon thought so too. So what happened? What were the teething pains? Simon flagged that the internal battle was a major struggle. Simon chose involving others vs. staying nimble, as I know only too well…this can be problematic sometimes. Simon encountered a lot of conflicting opinions and negative feedback from colleagues. Simon also experienced negative sentiment from those that didn’t feel involved despite his best efforts. You see, being inclusive is great but in order to be inclusive (while staying nimble) it’s important for those you include to have a clear understanding of what you’re accountable for and who makes the final call about what goes into a design, the product etc. Simon took it on the chin. Feedback, however crushing is always a good thing. How can you improve things if you don’t elicit feedback? How can you understand what your users like/don’t like…what they need/don’t need if you don’t listen to your feedback? I’d like to say congrats to Mathilde and Sebastian for organising a vibrant, raw and awesome product get together (with good food at a reasonable price!). I’ll be returning next year!